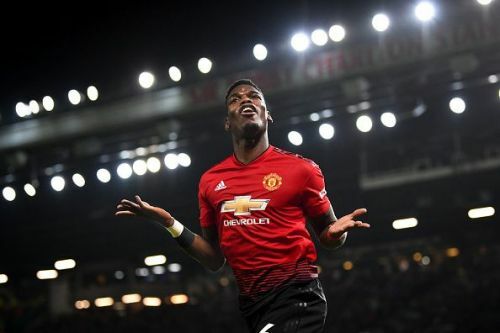 Premier League 2018/19: How Jose Mourinho's departure brought back the best of Paul Pogba? It's been only a few weeks since Ole Gunnar Solskjaer took charge and Manchester United looks very far from what they were under Jose Mourinho. They experienced one of the worst starts in their history to the 2018/19 season under Mourinho but they have managed to get all possible points in their last four games. Under Mourinho, there was an air of controversy and tension due to his stubborn demeanour but it seems with the arrival of interim manager Solskjaer, things have taken a new turn. His arrival feels like a breath of fresh air at Old Trafford, slowly replacing the previously toxic and chaotic environment under Mourinho. Solskjaer couldn't have wished a better start as the caretaker coach of United. With four wins in a row and a lot of positives like the players being back at their very best, he has earned the respect of the dressing room, pundits and critics alike in just a few weeks. The most significant area of improvement is on the pitch as Man United's football looks enjoyable which was not felt for a major portion of the last five years. The significant difference will be the newfound confidence among players and the way the players are expressing their potential is great news for every United fan around the corners of the world. Among the players, the most notable and standout player out of them is Paul Pogba. He was dropped to the bench by Mourinho in his last few games, including an important duel versus Liverpool at Anfield. Moreover, Pogba also was stripped off his role as a vice-captain of the squad. But it seems the departure of the Portuguese tactician has rejuvenated Pogba. He has come to life in these last few games and showed the world why he was brought back to Old Trafford for such a hefty fee. He has racked up four goals and three assists in the last four games under Solskjaer while he had three goals and three assists under Mourinho in the rest of the 2018/19 Premier League season. 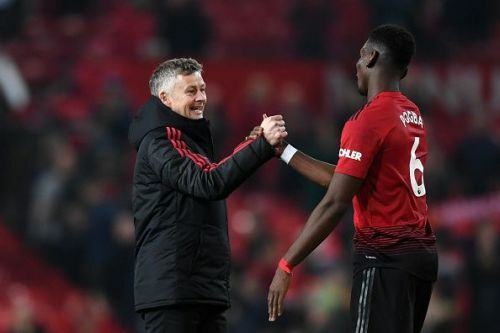 "We have given Pogba freedom and we don't want him to play as a midfielder," said Ole Gunner Solskjaer. Pogba was one of those players who was extremely vocal against Manchester United's defensive style of play under Mourinho. For a world-class midfielder, Mourinho's 'sit back and defend' strategy was like shackles to his attacking instincts. Solskjaer has not changed much when it comes to tactics but he values the necessity of giving these stars with world-class talents much-needed freedom to express themselves. Solskjaer was himself under the tutelage of Sir Alex Ferguson and he recognises the attacking style of United on the pitch and instructed them to move forward with the ball whenever they are in possession. Moreover, Pogba was criticised by Mourinho, which did more harm than good in the dressing room. Instead of motivating his players, Mourinho's toxic words and cold stares regarding a player of Pogba's calibre had a catalytic effect on the downfall of the performance of the star player. On the other hand, Solskjaer has shown his full faith and trust in his star man which has only increased the Frenchman's confidence by leaps and bounds. He has managed to removed the shackles by deploying Pogba more forward on the pitch to use the midfielder's excellent range of passing, sensational power and intricate touch upfront. "Solskjaer has brought back the best Pogba, as he's enjoying it and playing where he likes," admits Paul Pogba's United teammate, Jesse Lingard. There is no doubt that the move has worked so far. Barring the goals and assists, Pogba bullied past obstacles and pulled strings to give attackers more space. For instance, his pass to Alexis Sanchez played a pivotal role in the last match as the move resulted in a much-needed goal versus Newcastle. Pogba is world class when on form and makes the players beside him look good. Despite his feud with Mourinho and all the controversies, critics have dedicated numerous minutes analysing his haircuts, his attitude and his celebrations among other negatives. But with more freedom, he has been the standout player of United and steered United forward with his willingness. It is time we applaud Pogba for stepping up after a poor start of the season by the whole squad as he has played an undoubtedly crucial role in instilling hope and belief in the hearts of United supporters. Is Paul Pogba the best midfielder in the Premier League right now? Premier League 2018-19: Is it too early to say that Solskjaer has unleashed the full potential of Pogba?